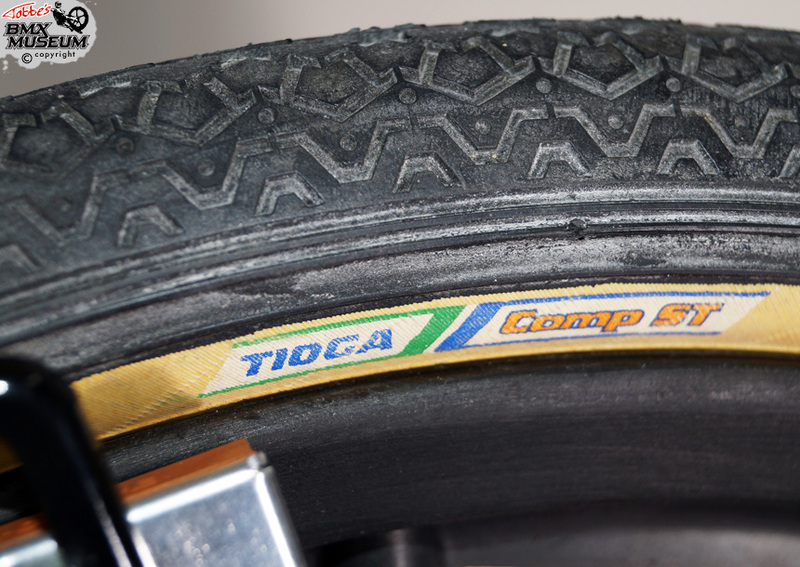 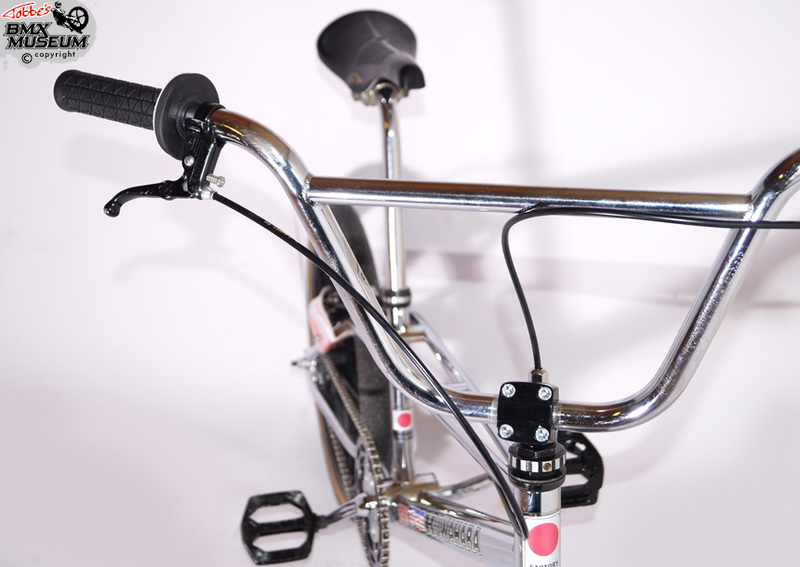 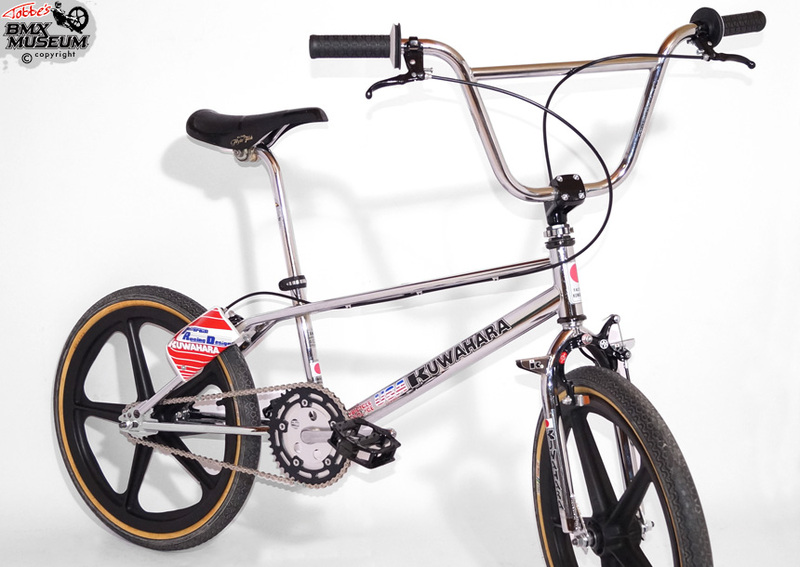 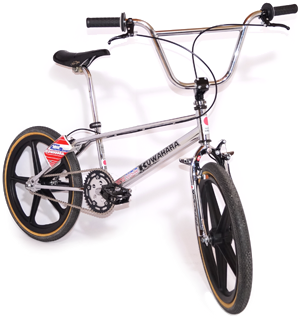 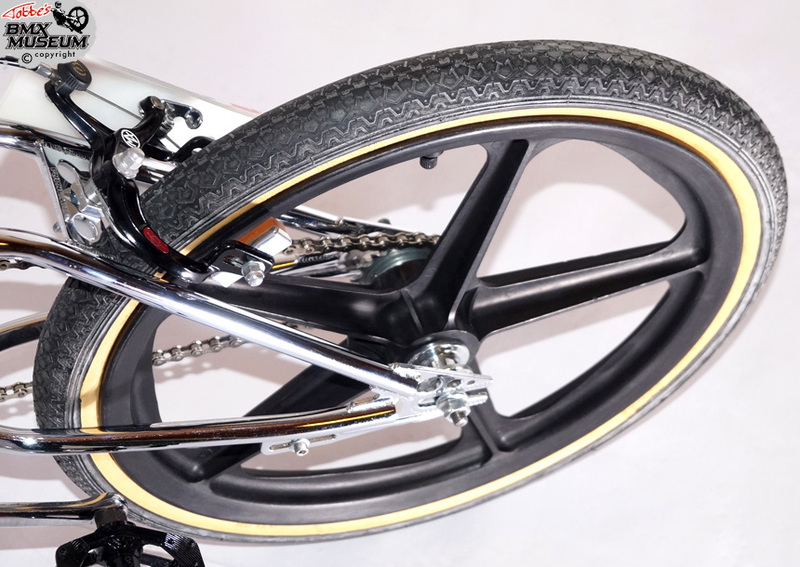 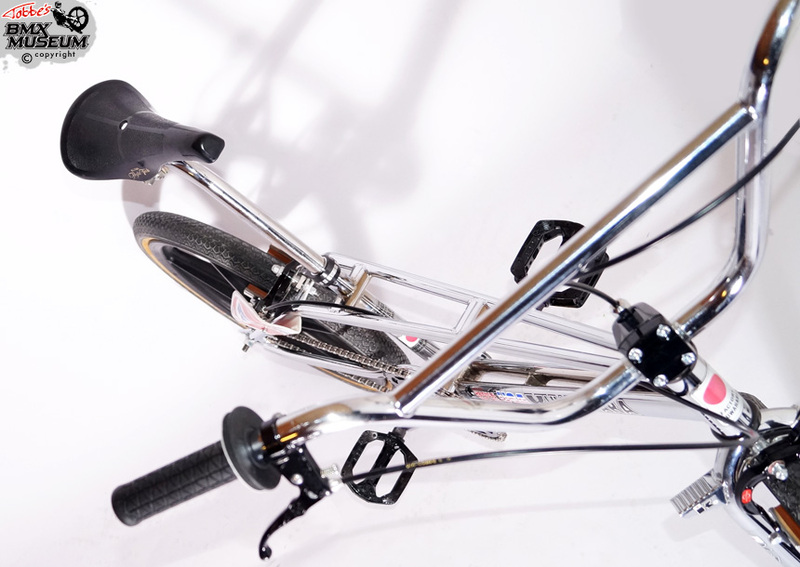 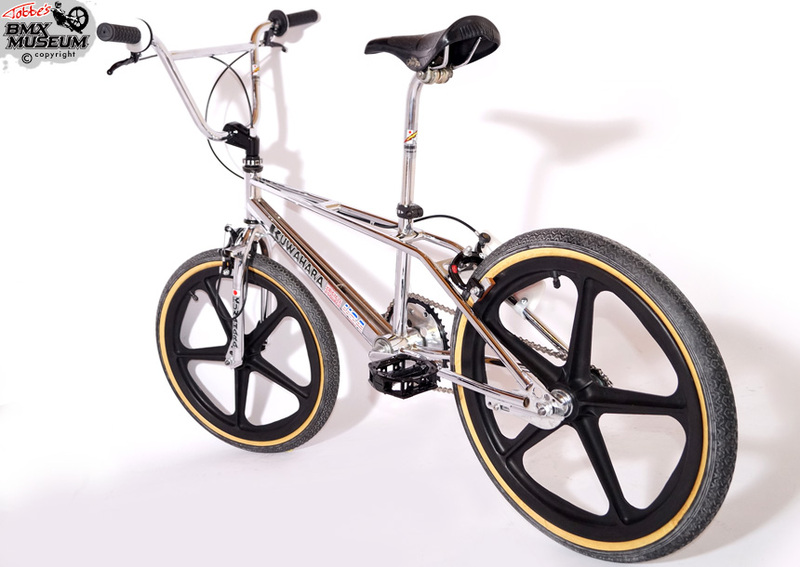 I remember back in the days when I was hanging at the TWS BMX shop in Märsta (runned by Stefan Ekwall) and the swedish team rider for Kuwahara; Andreas Nyberg had one of these Kuwahara “FS” Exhibitionist and how jealous I was of the bike. 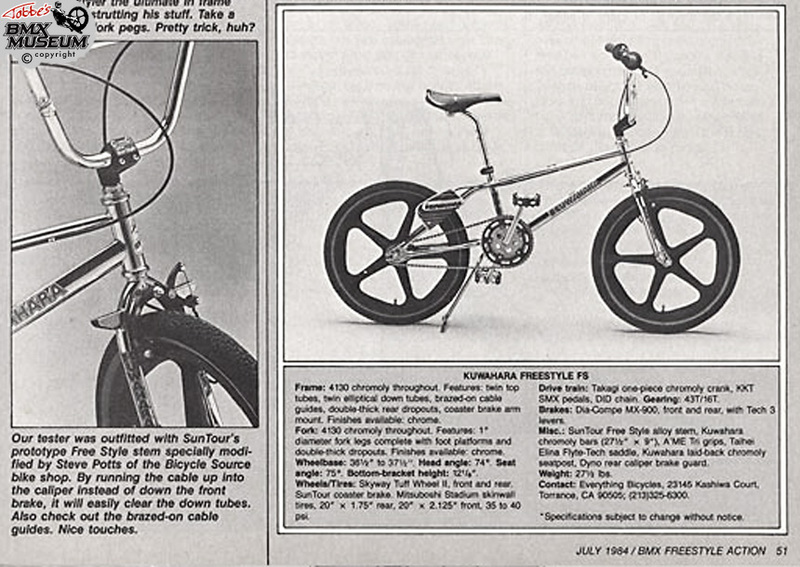 Ever since then, I have always wanted to get one of these frames with the extraordinary twin top- and downtubes. 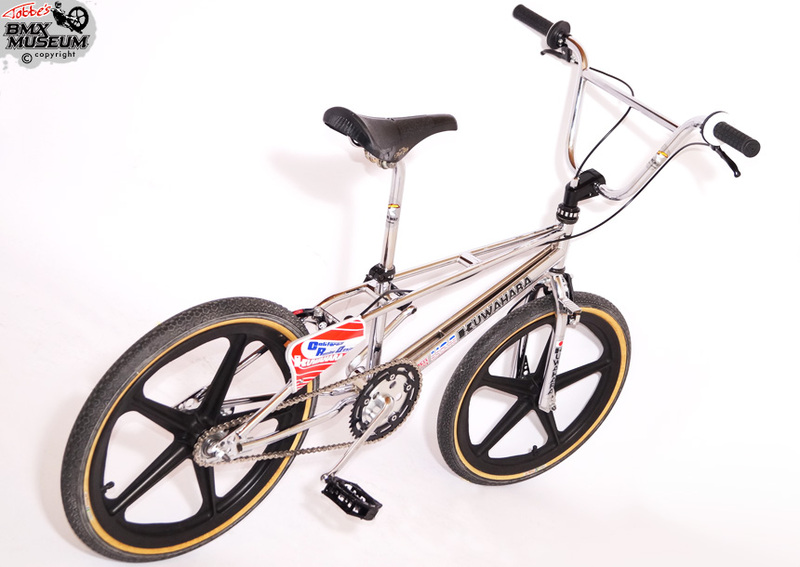 Since I started to collect old school BMX bikes, it have been my absolute number one holy grail to find, but I thought it was impossible to find one in chrome and in very good condition. 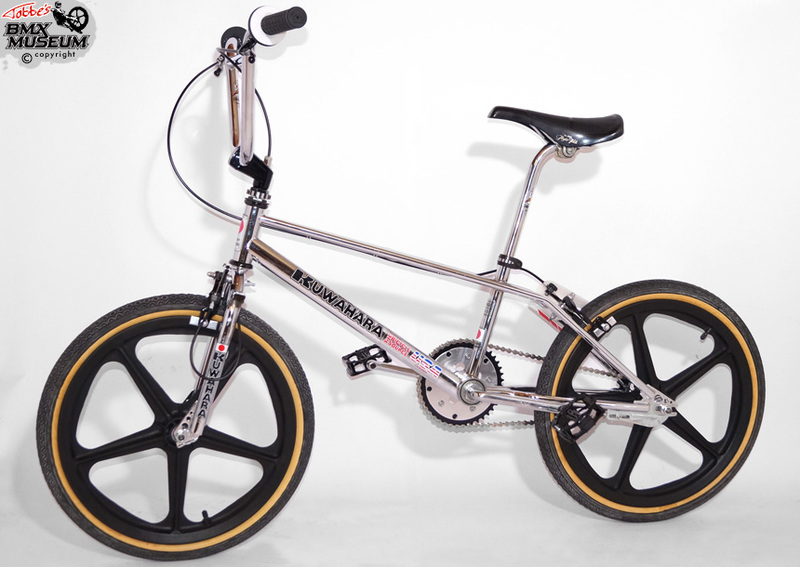 In the autumn of 2012, I got an email from a guy called Bosse here in Stockholm who had heard about my collection and asked me if I would like to buy his Exhibitionist which his brother imported from USA in mid 80´s. 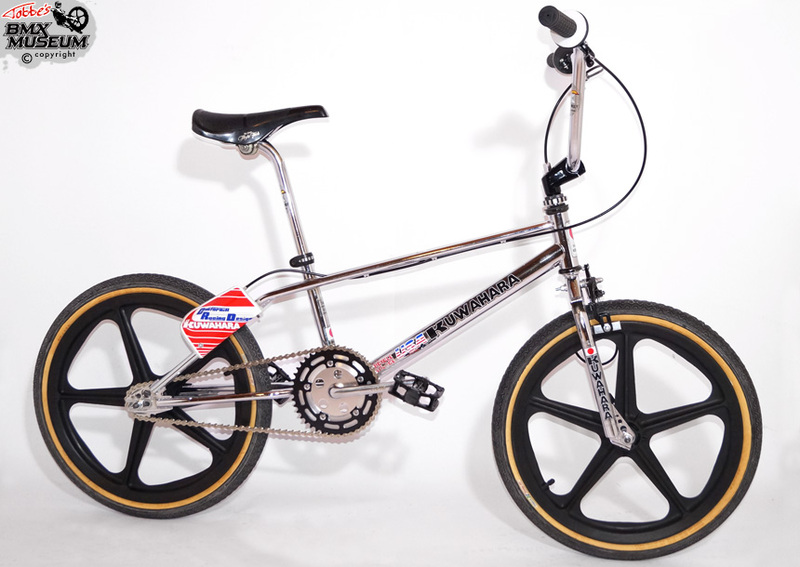 I went there to buy it as soon as I could. 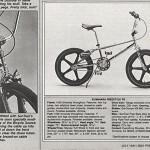 It was like winning top prize in Lotto! 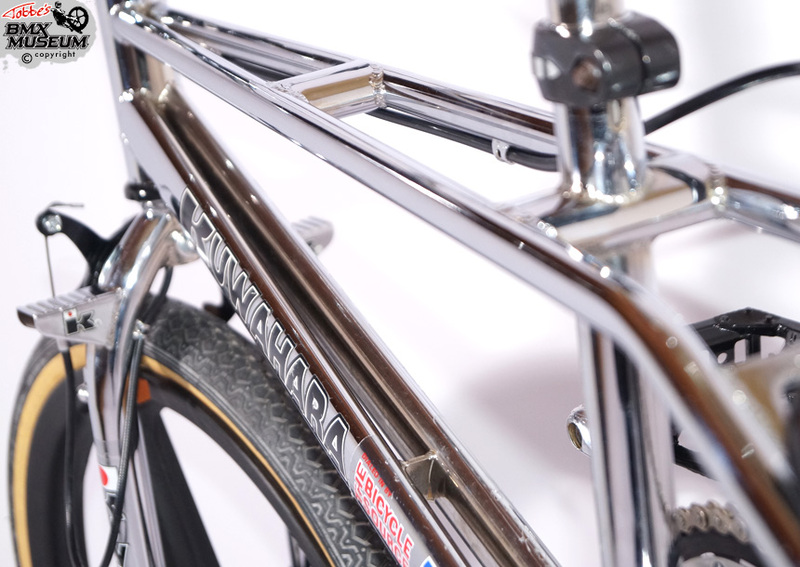 It must be one of the best preserved Exhibitionist frames in the world, and it still got the original decals in very good condition. 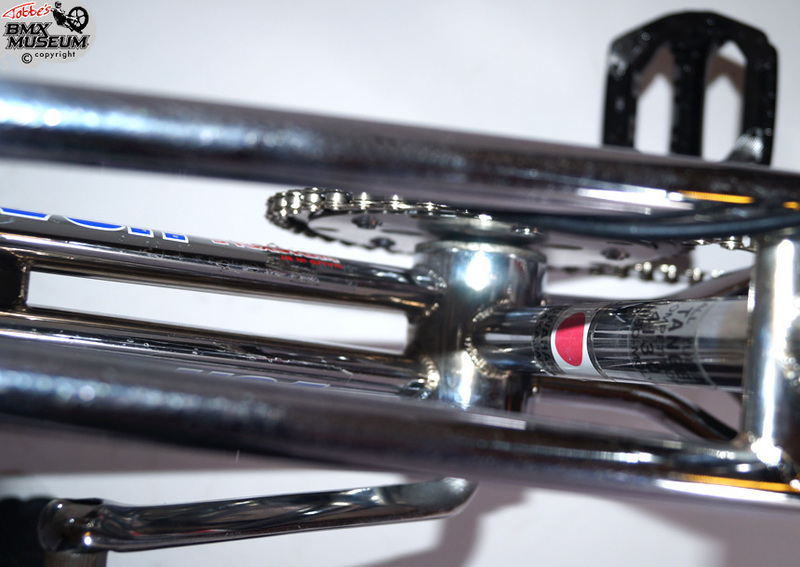 I could only use the frame, fork, headset and headset-lock from the bike. 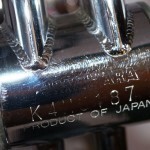 The other parts I have collected elsewhere. 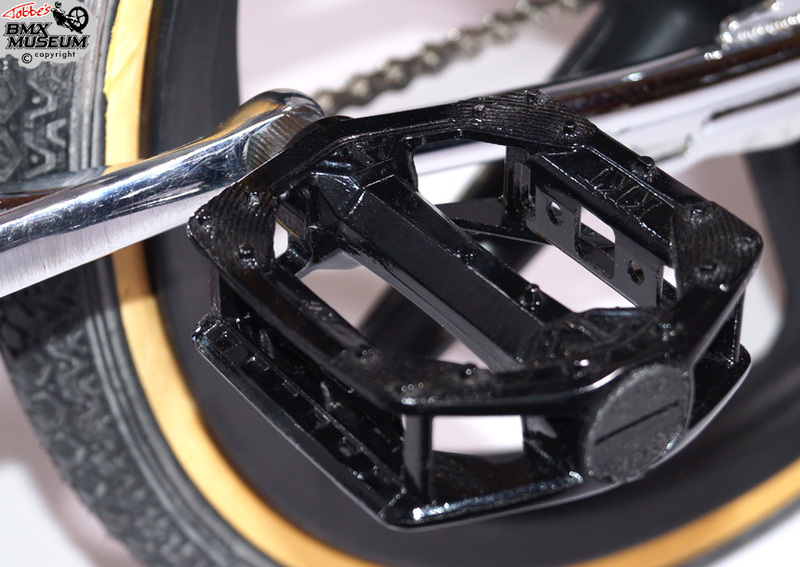 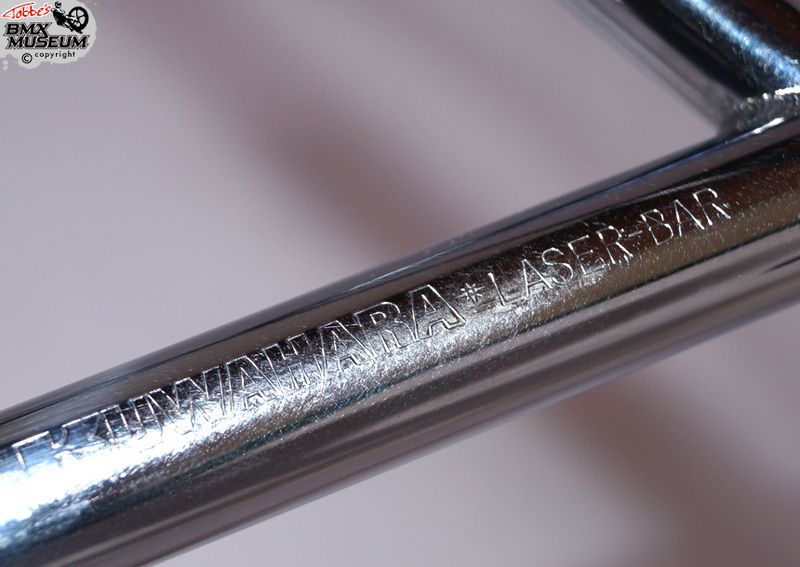 The Kuwahara “LaserBar” and the KKT SMX pedals are mine from back in the days. 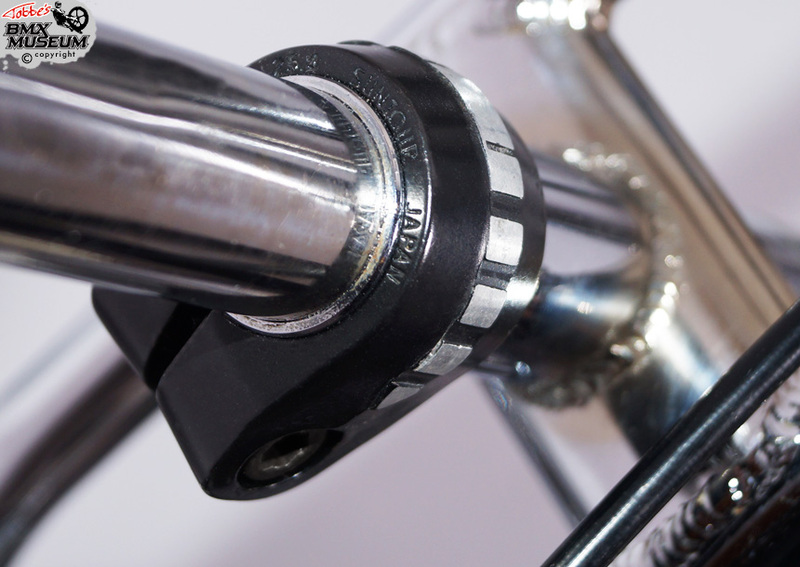 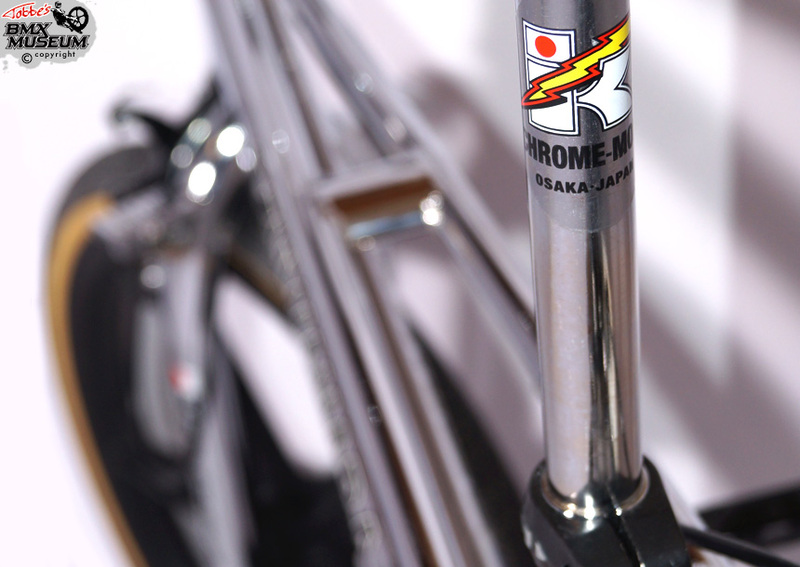 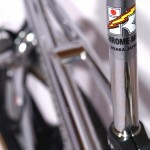 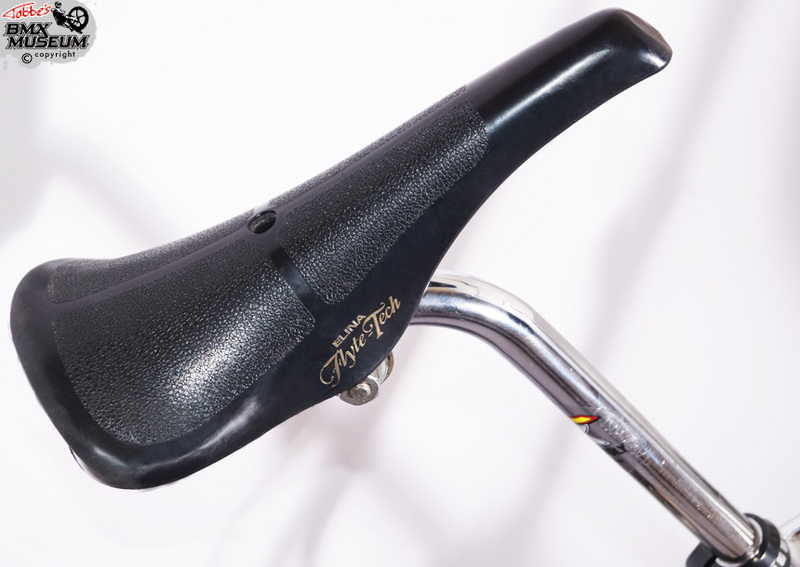 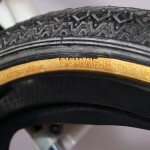 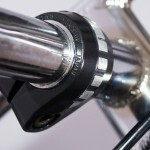 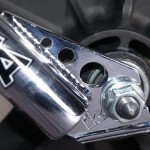 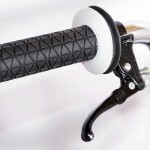 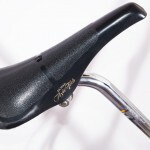 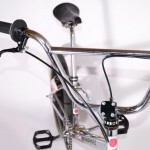 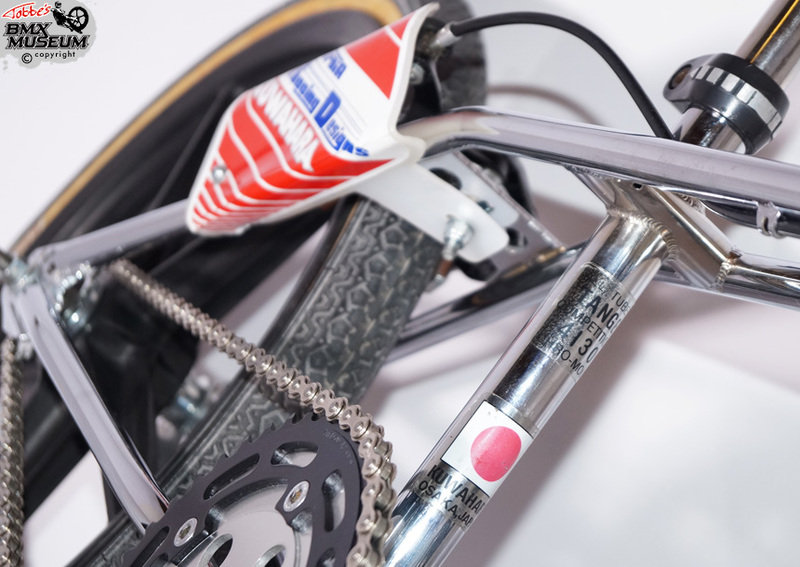 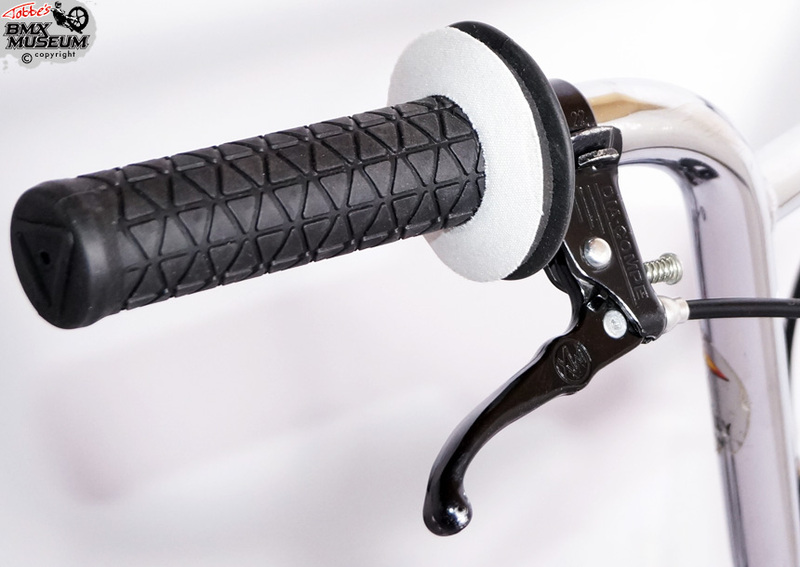 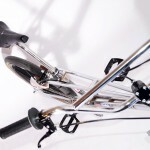 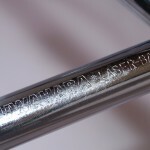 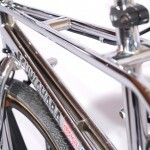 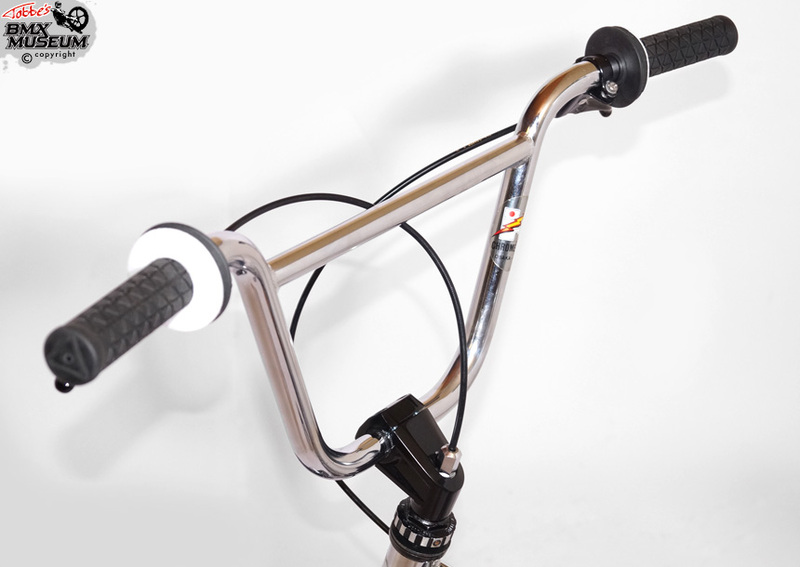 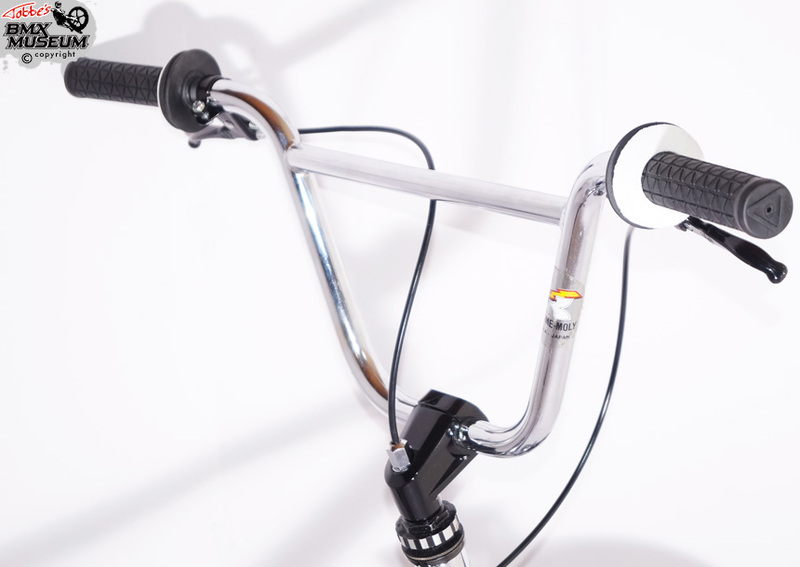 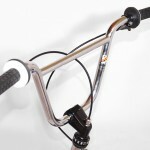 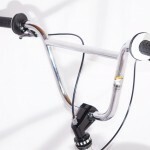 The genuine Kuwahara “LaserPost” seat post comes from Patrik “Döskallen”. 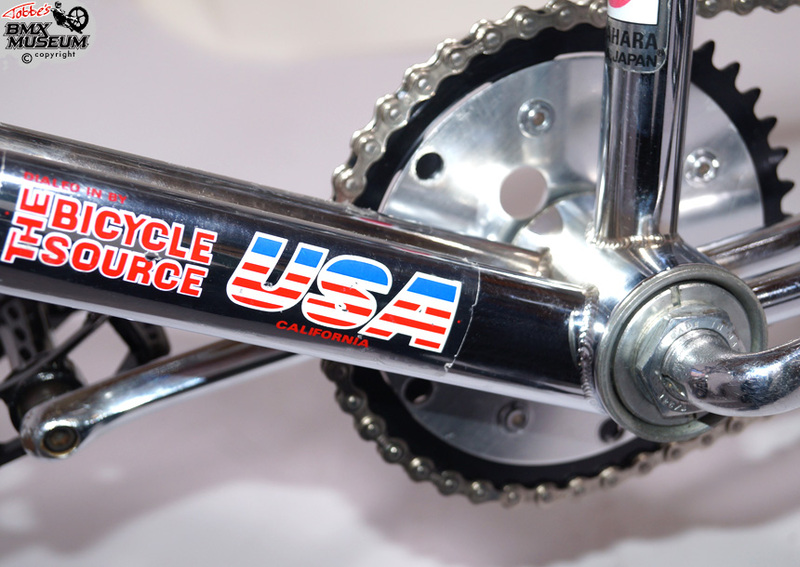 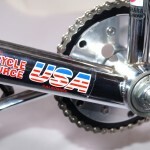 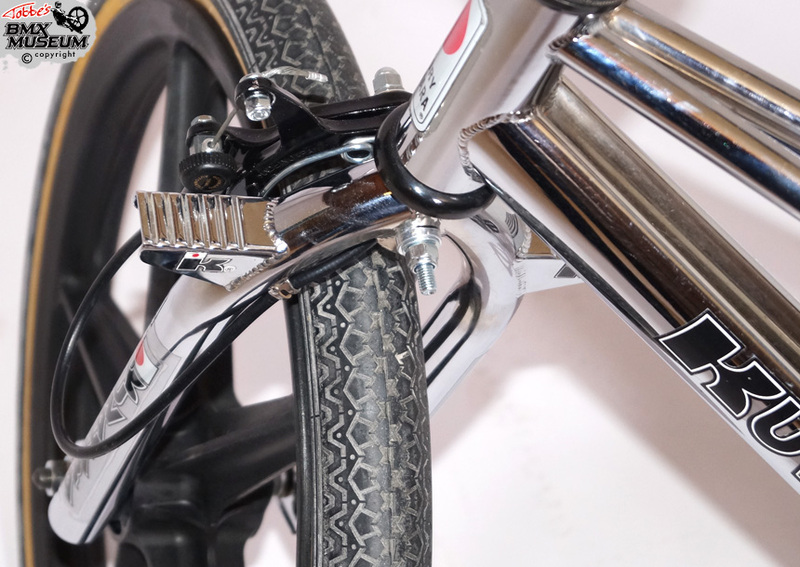 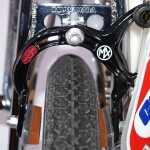 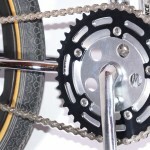 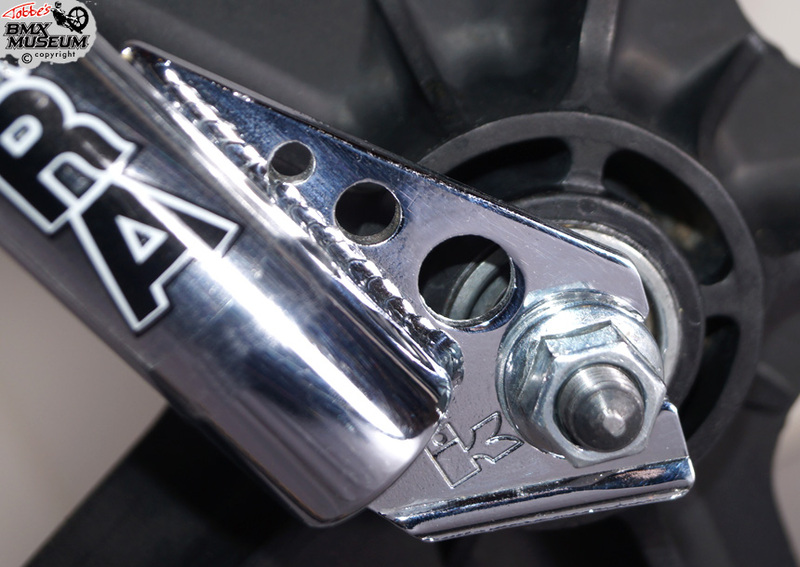 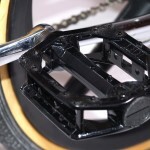 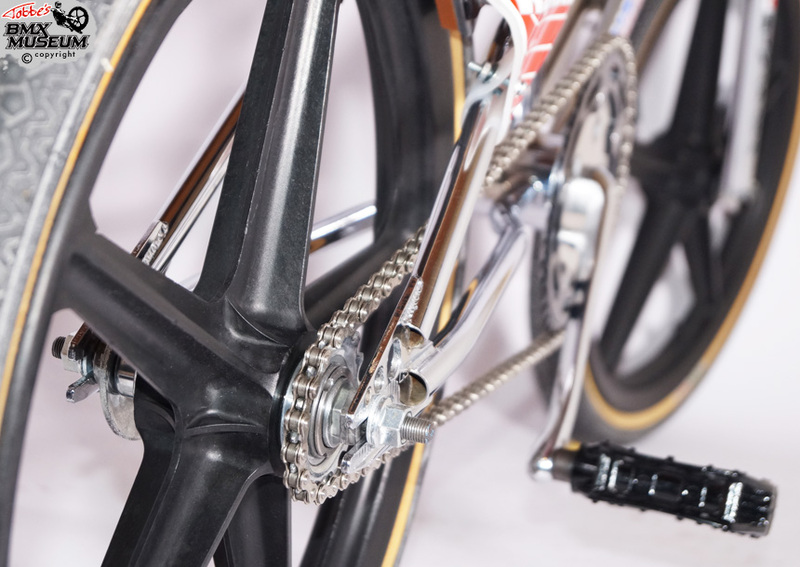 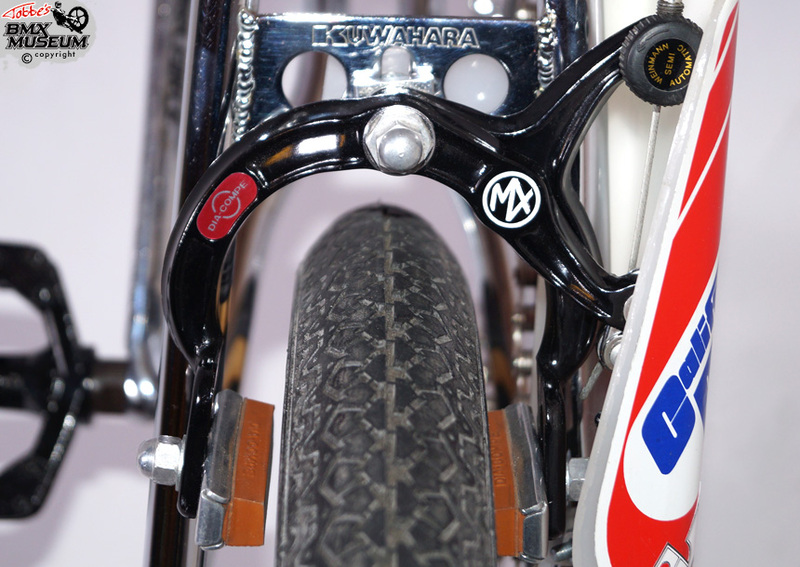 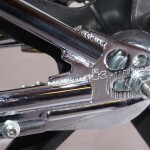 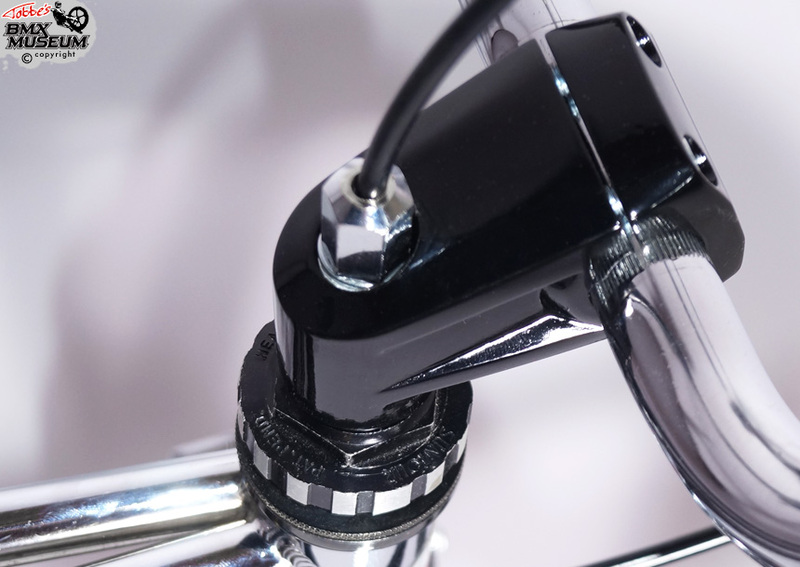 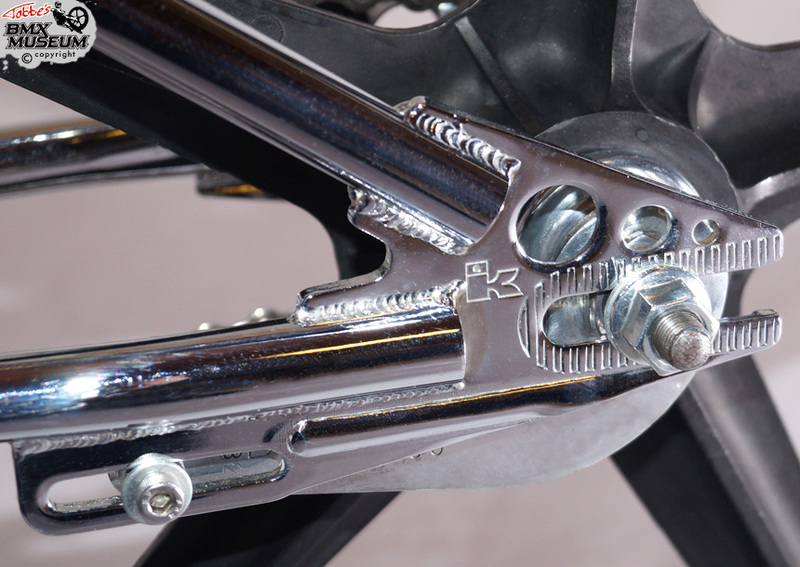 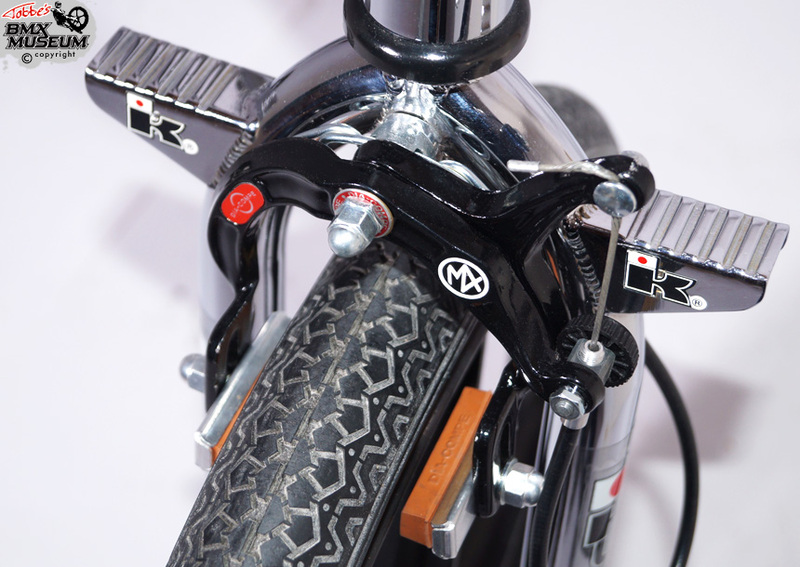 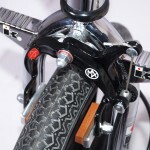 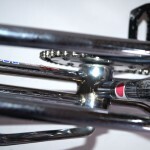 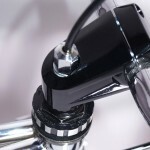 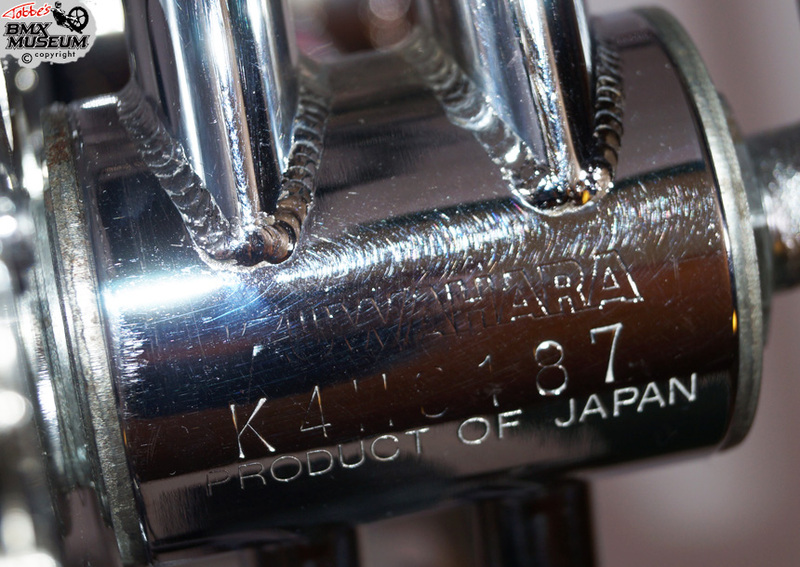 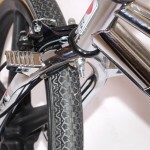 The Takagi cranks are the same as the correct Kuwahara cranks, but they are stamped “Tioga” instead of Kuwahara. 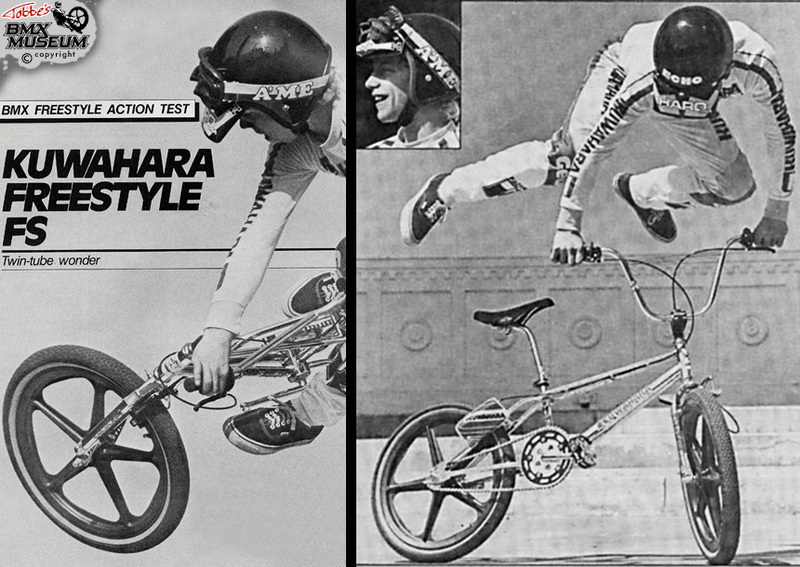 Later on, I found an old test from BMX freestyle Action magazine from 1984 where they tested the Kuwahara FS Exhibitionist bike. 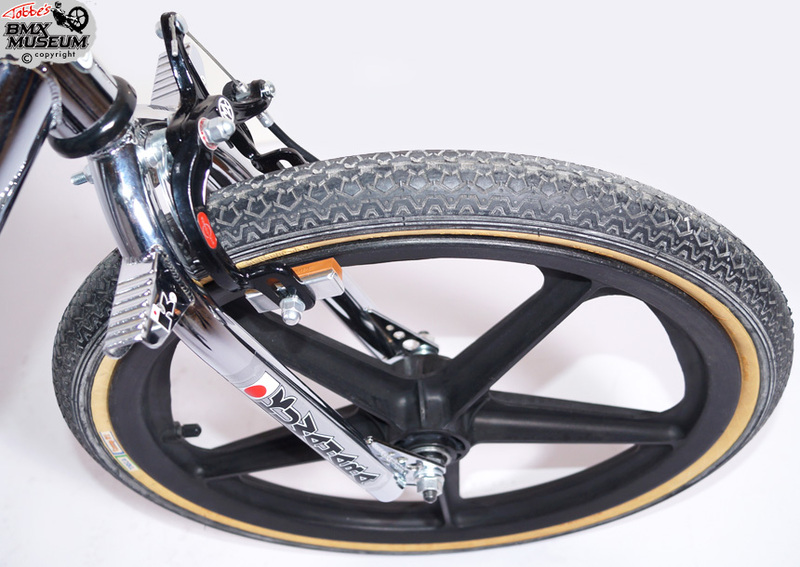 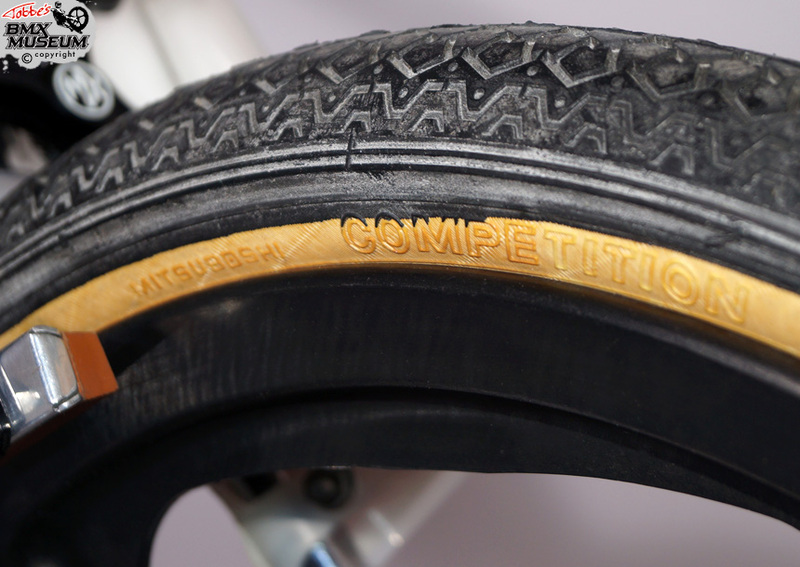 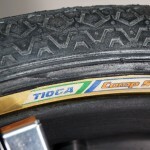 I have tried to build my bike exactly like the specifications in the test. 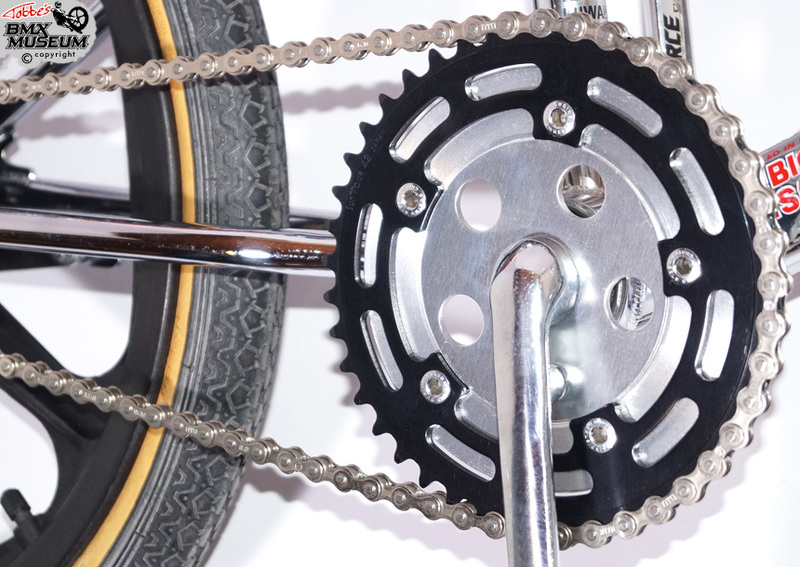 There’s just some tiny things that’s differ.